These days, scrutiny for foreign nationals who are seeking immigration benefits is high. This is especially true for those who are planning to get married with an American citizen. After all, romance knows no borders, and marriages between citizens of different countries are a frequent occurrence. Immigration law does permit for foreign nationals to become American citizens via marriage, but only if the union is legitimate and in good faith. For this post, we’re exploring marriage fraud and immigration, covering how fraudulent marriages are discovered, and going over the consequences of being involved in a fraudulent marriage. For more in-depth discussion, remember that you always have the option of calling us directly at R & S Law Group, LLP. How is a Marriage Determined to be Fraudulent? When scrutinizing a marriage, the main question that the authorities will look to answer is this: were both parties looking to start a life together when they wed? If the answer is no, the marriage is considered fraudulent. Note that even if one party did have honest intentions, both parties need to be aligned or the entire union is illegitimate. 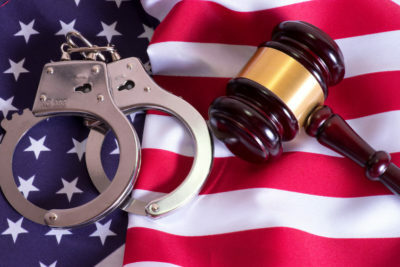 Investigations are carried out by a variety of law enforcement agencies, including the United States Citizenship and Immigration Services (USCIS). Couples where one person is a foreign national can expect to be heavily investigated and interrogated, and the naturalization process is a lengthy affair that demands the expertise of a qualified legal professional. What Happens When Marriage Fraud is Discovered? When fraud is discovered, the marriage is automatically considered invalid for all purposes relating to immigration and naturalization. Any benefits that were attained through the marriage, such as residency, is revoked. There is also the possibility of deportation, not to mention the criminal penalties of perpetrating marriage fraud. This is a federal which carries up to five years of prison time and a fine not to exceed $250,000. Immigration law involving marriage is an increasingly complicated topic, and this blog post is only meant to be a very general overview. If you’re looking for more information on this topic, or on any other topic that involves family law in CA, don’t hesitate to call us at R & S Law Group, LLP. Rely on our experienced family law attorneys for all your divorce, child custody, and family law matters in CA. Call now to schedule a free initial consultation.